My passion for Asian and Native American cultures began long before I became a Traditional Chinese Medicine (TCM) practitioner, herbalist and acupuncturist. I have had a lifelong commitment to learning and staying abreast of the latest in health and wellness. In fact, my intrigue started as a little girl when I was determined to find out why I had chronic and severe abdominal pain and constipation throughout my childhood and well into my adult life. Initially, some thought my being born a twin, who had to stay behind in the hospital on an incubator due to jaundice (when my sibling sister was brought home) may have contributed to my digestive issues on an emotional level. In TCM, that feeling of neglect manifests as a liver imbalance that can cause digestive issues from the beginning. Even if only momentary, jaundice affects the liver and can cause future health challenges. Intuitively, I knew differently: There was much more to my health challenges on an emotional, physical, mental and spiritual level. All problems, according to Traditional Chinese Medicine, start with an emotion and all disease begins in the gut. To begin with, I am an empath, a highly sensitive person with great gifts of compassion and insight that enable me to connect more profoundly with patients and others. As a child, I held all my angst in my gut (like many of my clients now do). In TCM, this is known as liver Qi stagnation, for the liver is sensitive to anger and emotions. Heightened emotions can cause stagnation, which halts movement, hence no elimination. Qi is the term the Chinese use for the life force or energy within the body. Exercise also helps move Qi energy, as does proper diet. To help you understand better, what I spent a lifetime learning, here is an overview of the added benefits of employing TCM as part of your health and wellness plan. Traditional Chinese Medicine is a complete healing and preventative system that encompasses the spirit, mind, and body. Your body is an integrated whole, with all organ systems energetically interconnected, and powered by Qi. 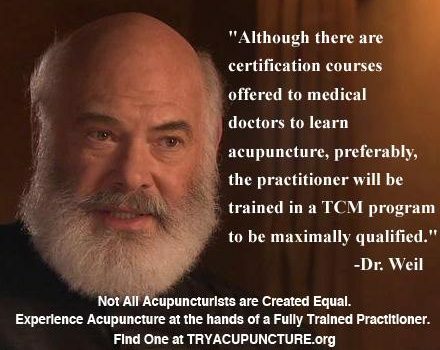 Understanding lifestyle practices including food choices, exercise, sleep and relaxation, relationships, stress levels, and how each person interprets their life emotionally are an integral part of using TCM to treat the “whole” person. You are completely connected to nature, with seasons, geographical location, and the time of the day, impacting your health (along with your age, genetics and condition of your whole body). You were born with a natural self-healing ability, although it often seems lost or inaccessible to many until trained and educated on how to use it. Prevention is the best cure, and your body continually gives you signs or symptoms to reveal your state of health. Based on finding the emotional root cause beneath a symptom in the body, TCM helps me find why an illness, disease, pain or chronic condition is appearing with a patient. TCM also offers a tool chest of possibilities for healing. I also search for imbalances or internal blockages that create stagnation in the meridians, which are the energy lines that carry and distribute Qi throughout the entire body. TCM helps free up the blockages by using herbs and acupuncture to return the body back to balance. Often, when internal blockages are released with Traditional Chinese Medicine, the patient is free to create the life they were meant to live without inference. For example, when I am exploring whether a patient’s stomachaches are related to leaky gut, I may recommend initially that a patient stop eating wheat or gluten. By eliminating those foods, I am able to see how their digestion works to see if there are other issues to address. When stressed, the body is like a kinked hose and digestive enzymes cannot be released. Thus, digestive ability is halted. Overtime, this blockage causes damage that needs correction or the patient will constantly have leaky gut due to stress. Therefore, the gut needs to be healed properly so that this is not a lifelong repetitive cycle. I operate as an unstoppable detective, combining my TCM expertise with my comprehensive training in functional medicine. I will never stop asking WHY and I will not settle for mediocrity. In my practice, I am never stumped by the hopelessness and lack of health solutions some patients face using only conventional medicine. For example, you cannot have cancer without having faulty liver detoxification systems, depleted kidney-adrenal energy, and a gut that needs repair. To support patients with cancer, I first bring them back to how they interpret their lives and review their stress levels. Often, in conventional medicine how the patient internalizes stress is hugely overlooked. When in the stress mode of chronic fight or flight, you are creating cortisol, which is tearing down the gut lining. This is why also eating the right food is so important, to use proper nutrients to rebuild the gut that has been worn down. Acupuncture, herbal remedies and supplemental digestive support, are great tools for addressing digestive issues. In simplest terms, acupuncture is a treatment modality to reconnect the communication between the central nervous system with the rest of the body. It looks at the emotions and how stress can cause a physical manifestation of ill health which overtime can cause a disease process to be created. In the next blog post, I will help educate you more about the benefits of integrating Traditional Chinese Medicie with today’s Functional Medicine. With insight, come solutions. It is my hope that such knowledge will empower you to access your body’s innate ability to heal. How important is healthy digestion? VERY! Watch our video to find out. At Bright Path Wellness, we first utilize the Traditional Chinese Medicine model of differential diagnosis to relate your challenges to the inter-connectivity of your organ systems. We then integrate that knowledge with the modern techniques of Functional Medicine and our evaluation of functional levels of the results from standard blood tests and other state-of-the-art scientific laboratory testing, if needed. This provides us with a comprehensive analysis and determination of the Root Cause of your health challenges. A personalized program is designed specifically for you which recommends targeted professional and pharmaceutical grade nutrient, homeopathic and herbal supplementation to correct imbalances and restore optimal health. Dietary and lifestyle modifications will be recommended. Additionally, various treatment protocols may be recommended to stimulate the body’s innate healing processes. With the interferences removed, you will be on the bright path to living a profound life. The benefits of removing the interferences in your life include: Pain Relief, Better Sleep, Increased Energy, Better Digestion & Nutrient Absorption, Stronger Immune System, Reduced Toxic Burden, Reduced Inflammation, Enhanced Ability to Deal with Stress, Mood Enhancement and A Clear, Focused & Positive Mind. You’re worth it! Ready to start? Visit Bright Path Wellness today!